Uncategorized | Fit Girl. Happy Girl. 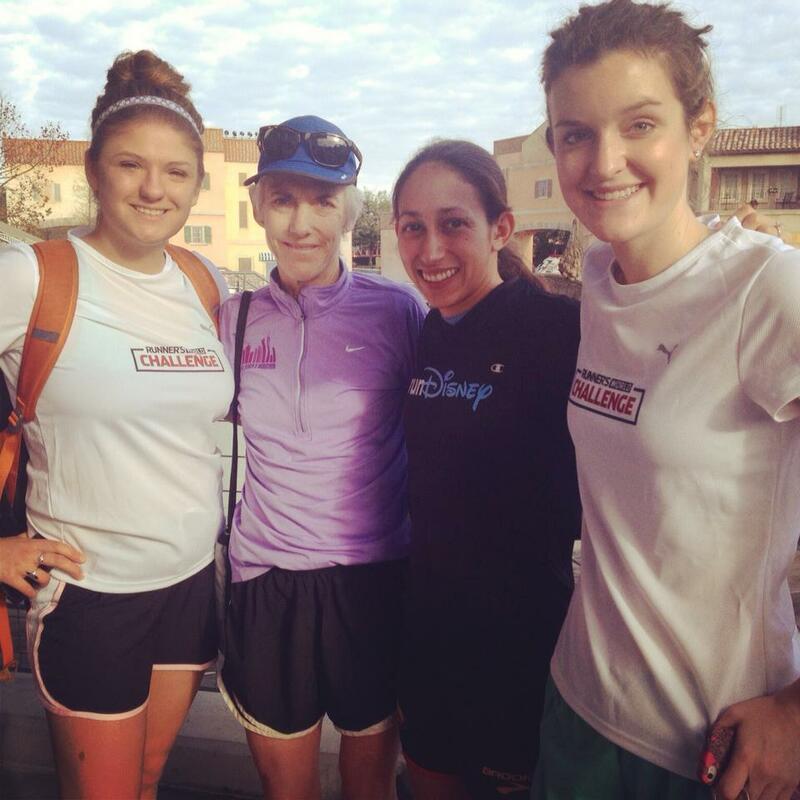 From the 2013 Walt Disney World Marathon with Desi Davila, Joan Benoit Samuelson, and my friend Beachy. “We all want to be the next Joanie,” Shalane Flanagan admitted before a packed press conference room following the 2013 Boston Marathon. Shalane sat next to her training partner, Kara Goucher, both trying, but failing, to hold back tears. Shalane had just thrown down a ruthless race (2:27:08) in an attempt to be the first American woman in years to win the Boston Marathon, only to be outkicked in the very end. I sat in the second row at the presser and while trying to remain an impartial journalist, as a runner, a female runner, and a Bostonian at that, it was hard not to get emotional. In 2014 Shalane wanted revenge and ran an even more relentlessly fierce race. Although she didn’t win, she set a PR and broke the American course record of by running a 2:22:02- nearly five minutes faster than 2013. “I have a good friend, Joan Benoit Samuelson, who for years has told me to run my own race,” Flanagan said after the race. I used to hear stories about Joanie when I was growing up. My dad was a marathoner and before I was born, my parents lived down the road from her in Watertown. I wasn’t a runner when my dad used to tell me these stories. I had never been really good at sports and I actually hated running, so at the time I didn’t care. But now, my perspective has completely shifted. I had the pleasure of running with Joanie in 2013 at the Walt Disney World Marathon while I was there for work. She joined us on a quick shakeout run the day before the half marathon. I ran by her side for about a mile and although we didn’t talk much, it was completely surreal. Here I was running next to a legend and it was like we were out on a typical, every day run. As I thought about all of this I noticed my pace start to quicken – 8:46, 8:40, 8:34, 8:10. I was about a mile out from my apartment when I decided to just give it my all at the end. I finished in front of my door step and clocked in a 7:31 mile – fast for me but two minutes off of Joanie’s Olympic Marathon pace. But I felt strong. Joanie’s performance at the 1984 Olympic Marathon changed women’s running forever. It brought it into the mainstream and made it possible for people like Shalane and Kara to want to become the next American female marathoning star. I know I’ll never be the next Joanie, but we all could be. Yesterday, I was nearing the end of my final tempo mile along a busy-ish road near work when all of a sudden a massive tractor-trailer honked his horn at me… four times. I was so startled from the noise of the honking, and the fact that I was in the middle of a very fast-for-me mile, that I stopped dead in my tracks. Instead of catching my breathe and calming down, I turned to the truck and flipped him the bird with not one, but both of my hands. I know, bad behavior shouldn’t illicit more bad behavior but I’ve had enough. And I’m not the only one. This week alone, I have been honked at five times during a run by guys driving by. Scores of women runners, of all shapes and sizes, have had moments like this. You’re running along, minding your own business, when a dude driving by beeps his horn at you, and whistles out his window, or says some other obscenities. It happens to me almost every time I go for a run by myself. It happens when I go out running with a friend. It even happened once when I was doing a hill workout with my boyfriend who was about a half-mile ahead of me. No matter the time of day, year, or what I’m wearing I get beeped or cat called at. A writer over at Competitor wrote a story about this today, which prompted me to write my own. Another writer friend wrote a post about it for Philly.com and told me that after she published her piece she actually got HATE emails from men (and women too!) defending these actions. What the hell, people? Besides it being annoying and interrupting my otherwise killer tempo run, I wondered, what did that disgusting trucker think he was going to get out of that? He wasn’t turning me on. I wasn’t flattered. I was pissed off. Like the author of the Competitor piece, all I wanted to do was get my tempo miles done, cool down, and go back to the office for lunch. Instead my run was interrupted because some trucker decided I looked good enough during my run to honk at. 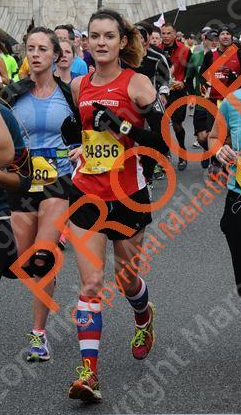 Unfortunately, I don’t have a solution for the problem, and I don’t have much faith in the changing the men who tend to cat call, but we need to make it clear that it’s not a compliment and it’s not OK.
I’ve been dealing with a mystery-foot-pain since a run two Saturday’s ago. Since the pain occurred I’ve taken it easy, but I’ve only swapped one of my running days for spin, and maintained my 30-ish mile weeks. Stupid. I was wrong. A mile into our run I felt the pain flaring up again on the bottom outside of my left foot. It was clearly compensating my stride so, at the encouragement of my lunch run mates, I turned back. As I ran (very, very slowly) back to the office, I kept hearing Krsitin’s words in my head. Why didn’t I listen to my gut and opt for spin instead? Why didn’t I give myself a rest day when I woke up this morning and felt the pain again? Why haven’t I seen a doctor in the two weeks since the pain first presented itself? I’m stubborn because I hate putting up zeros in my training log. I hate looking back at my log from last year and seeing higher mileage than I’ve been logging lately. 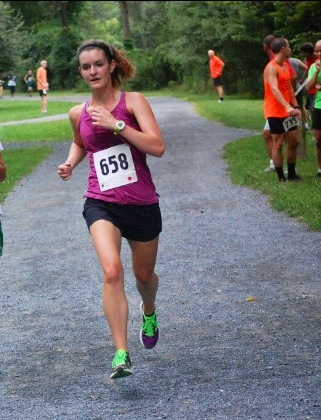 I get small panic attacks when I think about how training starts in a little over a week for my big goal race. I worry that days off from running will come at the cost of my fitness. A small part of me worries that not running will cause me to gain weight. An even smaller part of me worries that time off from running will make me forget why I love running. I know all of this is stupid but sometimes it just feels better to write it down and own up to it. When I read articles (on the website and in the pages of the magazine at which I am employed) and writers ask seasoned elites- what’s one thing you wish you knew about running when you started?- they almost ALWAYS say they wish they took proper recovery time. 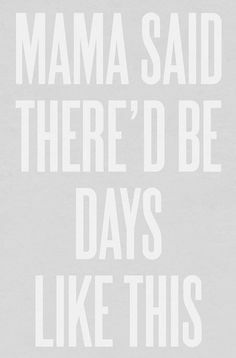 Or, they wish they recognized the benefit of taking easy days, easy. Or, that putting up a zero for one day might mean being able to put down a PR down the road. I’ve read all of this. It’s engrained in my memory. But why is it so hard for me to follow? 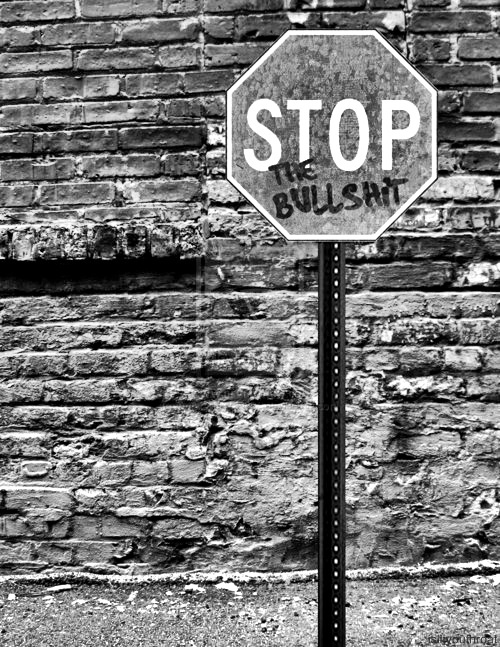 It’s time for me to cut the BS, stop being stupid, and start being smart. 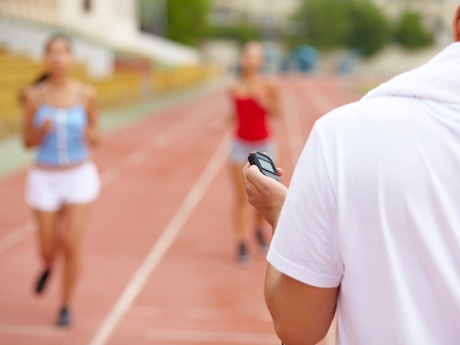 When Should You Get a Running Coach? I’ve been mulling over the idea of getting a running coach for a few weeks now. I’ve seen progress in my running over the past year but I know that’s due in part to my inexperience- every race is a PR or close to it. So I thought I’d ask, to improve, should I get a coach? To get a running coach or not get a running coach, that is the question. Thoughts? @FitHappyGirl well, I of course say get one! @FitHappyGirl So important to find one who’s the right fit, philosophically and personality-wise. Otherwise you lose a lot of benefits, imo. @FitHappyGirl But great to have someone monitor your performance, give advice, and adjust personalized training as you progress! @FitHappyGirl Absolutely, but a running coach should help you as much with what not to do as pushing the envelope at the right time. @FitHappyGirl If you haven’t met your goals on your own, try a coach. Make sure he/she works FOR YOU. Then take a leap. @FitHappyGirl If you have the right coach you’ll love running even more! Luckily I work at Runner’s World so I have plenty of resources here but it might be good to have an objective person (who I don’t work with every day) as a coach instead. I’m nervous it might be too closing to the start of MCM training to get a coach now but maybe not. I’m also wondering about in-person coaching vs. online. I know plenty of people have had success with online coaching but the main reason I want a coach is to have someone push me, especially when I tend to sell myself short. I’m going to keep doing some research into it and see what I come up with. Tell me, have you hired a running coach? Was it in-person or online and did you see improvements? 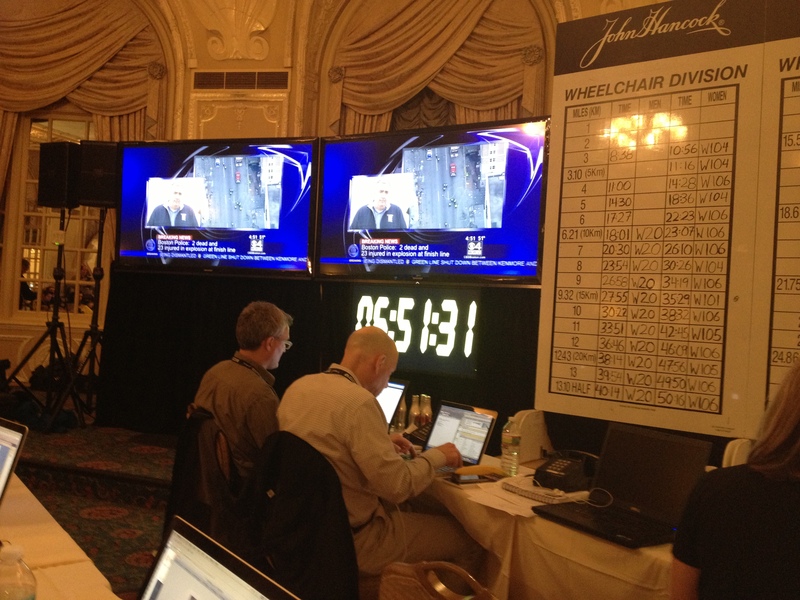 From inside the press room on lockdown, the race clock never stopped running. I don’t know when I stopped shaking. Even now, two days later, I can’t stop hearing the booms. One boom, I looked at my fellow editors. The second boom, I looked at the TV. A spokesperson for the B.A.A. ran out of the press room at the Fairmont Copley Plaza Hotel. Seconds, though they felt like minutes, went by. He ran back in- two explosions went off near the finish, he said. We were in lockdown. Someone has attacked my city, my family, my life, my love, I thought. My dad has run the marathon many times. My mom worked for the city of Boston as deputy arts commissioner, under Mayor Tommy Menino, and his predecessors. My grandparents immigrated to Brighton from Ireland in 1955 and my grandfather founded the New England Irish Cultural Center. My uncle was the head EMT leading operations at the finish line medical tents when the bombs went off. This was my family’s city. Boston is my home and the Boston Marathon is our city’s homecoming celebration. In the days that have passed I’ve tried to remain strong. I’ve tried to hold my ground. But we all have a breaking point. Kind of like a long run. There’s always a point where we have to stop, take in how far we’ve come and catch our breath. The unfortunate part of that is the reality that once we stop, we find it easier to stop in the coming miles, moments, or days. I was waiting for my stopping point, my walk break. I knew it would come. I was trying to be ready for it. But it came like a bonk. 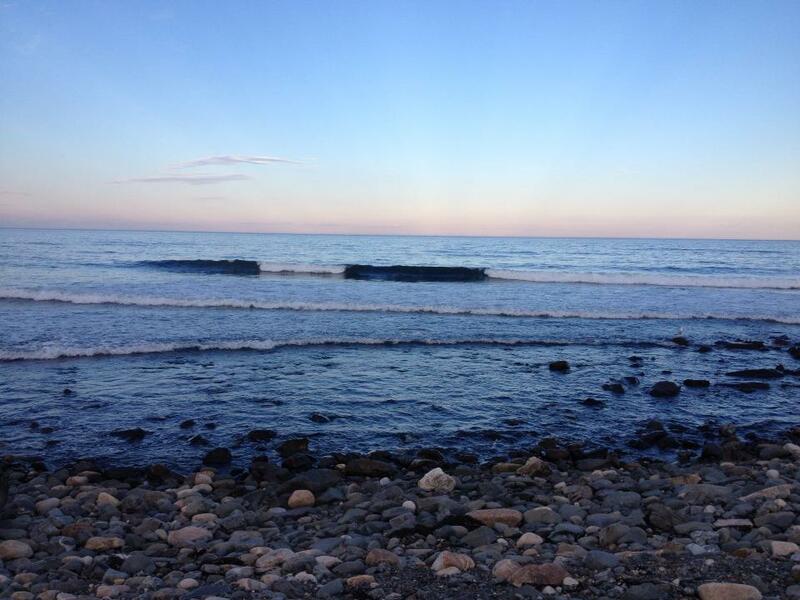 A wave of emotion I had no control over. Since it came yesterday afternoon, it’s returned at the most unexpected moments. I can’t stop hearing the booms, seeing the images on TV of people’s limbs, and shaking, just shaking. All I know is someone, on that horrific day, attacked my city and our support group. Marathoning, when it comes down to it, is a selfish sport. We train for our own goals, miss out on time with loved ones, family and friends, all in the name of meeting our goal- to run 26.2 miles. At the end of the day, what does that goal mean if we don’t have someone to celebrate it with? If our support group is not waiting for us at the finish line. And on Monday, April 15 someone attacked our support group. There was no one to meet us at the finish line. The helpers ran in and did what they could but at the end of the day we were all looking for answers. But if I know anything, marathoners, the running community, and most importantly, the people of Boston, are strong. We will reach deep into our energy reserves to rise up and help each other heal. It’s going to take time but I truly think we will come out of this stronger and closer than ever before. As for me, I’m still shaking and I don’t know when it will stop. But I know it will stop and I’ll find my finish line in Boston, with a huge support group waiting for me and the rest of the community, at the end. James Foley, Aleppo, Syria – 07/12. Photo: Nicole Tung. Before you read this I will let you know this has absolutely nothing to do with running or fitness but rather my other passion, journalism. It is a plea for help and I’m not sure how much it will really help but I thought I’d give it a shot. BOSTON – Jan. 2nd, 2012 – The family of American journalist James Foley today announced their son was kidnapped by unidentified gunmen in northwest Syria on Thanksgiving Day, November 22. The Foley family wishes to step up public awareness to support the release of Jim unharmed. While I only worked with James for eight short weeks during my summer internship at GlobalPost in 2011, I had a hard time hearing this news. Unfortunately, James is not new to being kidnapped overseas. In the spring of 2011, while on assignment for GlobalPost, James was kidnapped in Libya by Muammar Gaddafi loyalists, along with two other journalists- a fourth journalist was killed in the process of the kidnapping. After spending 44 days in a Libyan prison, James was released. He later returned to Libya to report on Gaddafi’s fall. I met James shortly after his release when I started my internship in June. James is the kind of journalist the world needs. He reports on what he sees, from the frontlines, completely objectively. He is brave and willing to risk life and limb to get the story. Hearing James’ stories about reporting abroad while I was an intern at GlobalPost sparked my own interest in becoming a foreign correspondent, so much so that I seriously considered going abroad to the Middle East upon graduation to report on the turmoil going on in those countries. It’s news like his recent capture that causes me to consider the sacrifices and dangers of taking such risks. But to me, it’s amazing there are people like James, and countless other foreign correspondents, who risk their lives to get the story. They are truly doing an incredible service to us all. James’ family, who hail from Rochester, New Hampshire, have set up a website (www.freejamesfoley.org) to campaign for his release. If you have a few minutes, I would ask you visit the site and join the appeal. I realize my readership might not be as in tune with this sort of news but I know the running community is strong and can band together to support a good cause. You can also stay up-to-date with the latest news on Twitter @FreeJamesFoley and Facebook Free James Foley.